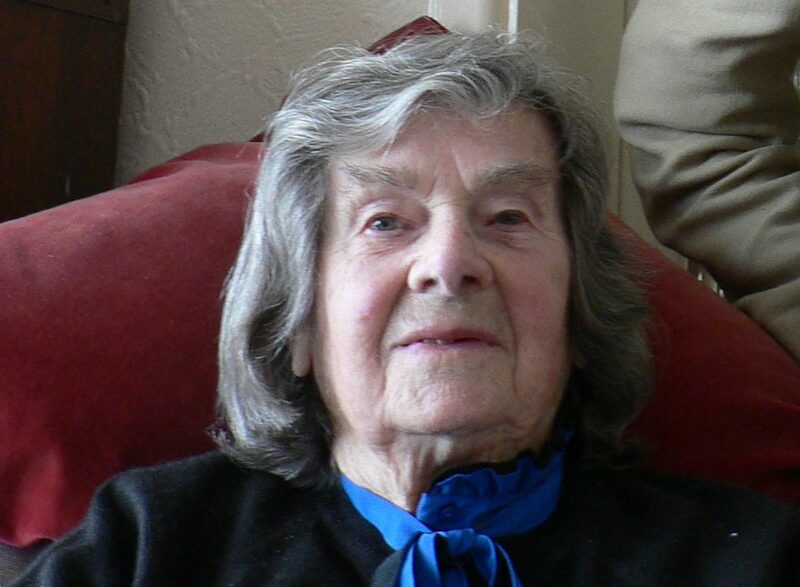 Doris Flatt, one of Florence Rutter's daughters, during her interview with John Stanton at her home in Williton, Somerset, UK, in 2006. Doris Flatt was one of daughters of Florence Rutter, the self-appointed ‘ambassador’ to the Carrolup child artists. 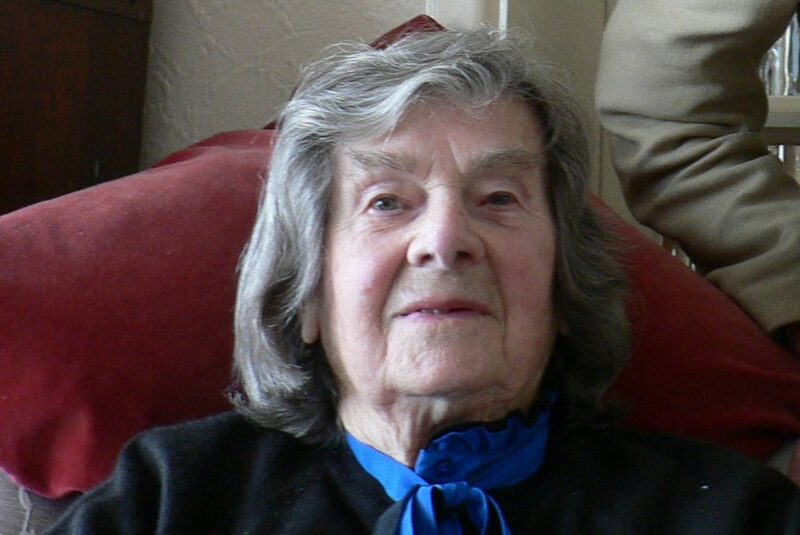 Over 100 years old at the time of the interview, Doris had strong memories of her mother’s great enthusiasm for their art, as she was determined to bring it to the attention of gallery visitors in Britain and the Netherlands. Florence had already exhibited the works during her travel around Australia and New Zealand to publicise the establishment of Soroptomy (a women’s version of Rotary International), and had a very positive and strong response to her informal exhibitions, where the artworks were simply pinned to the walls of her meeting venues. Once back in England, though, she realised that she would need to exhibit the art rather more professionally, which meant that she had to prepare the works to avoid damage to the delicate pastel surfaces during the exhibition tours. Doris remembered the family’s involvement in preserving the works back in 1950. Her young niece sprayed each pastel drawing with fixative, while Doris helped her mother encapsulate each work in plastic, the paper stuck down with Sellotape and the edge bound with black tape. Many of the works were in the same encapsulation when we inspected them at the Picker Gallery, Colgate University, 55 years later, the Sellotape adhesive having by then bled through to the fronts of many of the drawings. Something of a conservator’s nightmare.